It seems as if Vittoria Ceretti can do no wrong lately. 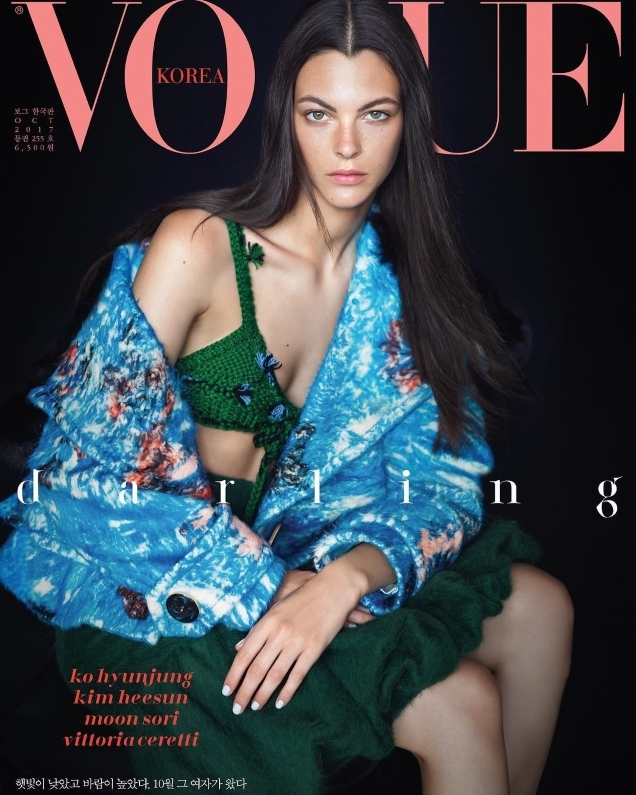 A firm favorite of Steven Meisel (and ours after that impeccable Vogue Italia cover), the Italian beauty has dominated the fashion world since arriving on the scene and now makes her debut on Vogue Korea for October 2017. Photographed by Hyea W. Kang, the current face of Zara gives us a major staredown in cover one (below), looking both graceful and poised in head-to-toe Prada. The magazine went one step further with cover two (after the jump), opting for a stunning and raw black and white portrait of Vittoria. Our forum members were instant fans. “I love the this. Everything works!” praised MON upon checking out the covers. “In love with these! The first cover is particularly gorgeous!” raved Nepenthes. “I immediately love everything about the first cover,” MDNA chimed in. Also quick to sing the magazine’s praises this month was dodencebt. 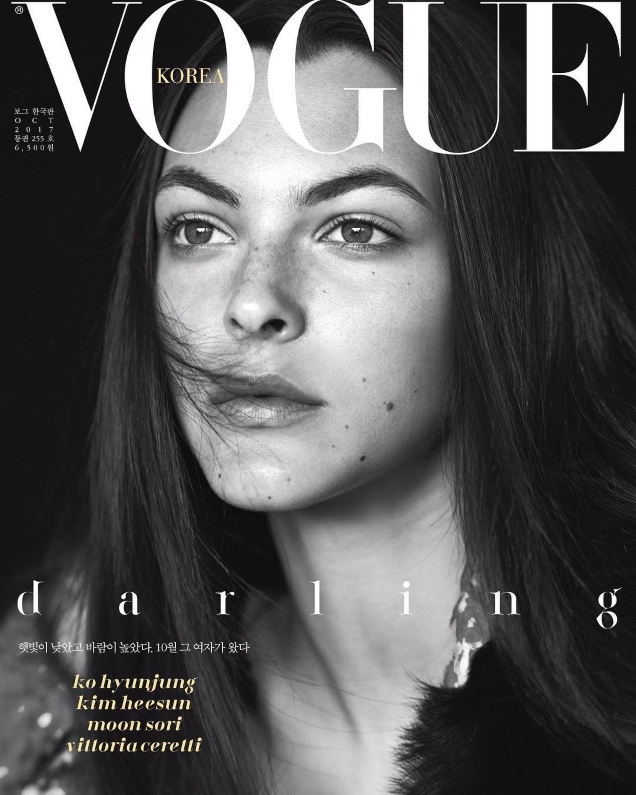 “The first cover is really incredible and it’s great to see a black backdrop on Vogue Korea. Vittoria looks stunning in that Prada!” he exclaimed. “I love it. Vittoria is amazing. She can easily flip-flop between glamorous and natural. A true beauty,” GivenchyHomme heralded. “Absolutely gorgeous covers! Vittoria looks stunning,” echoed forum member bluestar. Check out Vittoria’s accompanying cover story and add your own two cents here.